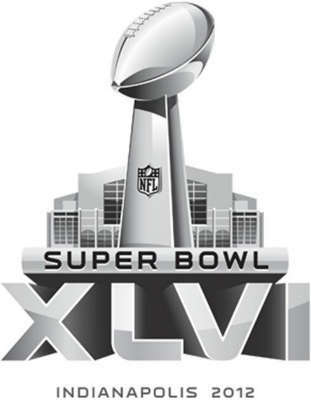 Chances are you’re part of a pretty big block of people who enjoyed a certain event last night called the Super Bowl. And even if you didn’t actually enjoy the event yourself–I actually spent the night with a couple DVDs myself–there are a whole lot of people who did. And a new discovery made today says that current events like the Super Bowl are a ticket to big bonuses in your Facebook-based marketing attempts. We’ve talked about Facebook marketing here before, to the point where we even discussed how your small business can effectively use Facebook as both unconventional advertiser and vendor of ad space. But, as Buddy Media discovered following the Super Bowl, the biggest winners weren’t on the field at all. But rather, they were brands posting during the Super Bowl. As it turns out, Buddy Media took up a study about the 1400 largest brands on Earth, and the results were a pretty big surprise. 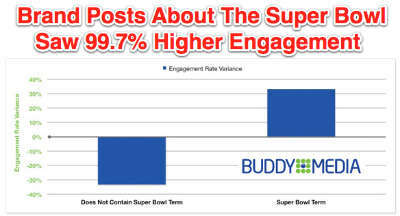 By posting during the Super Bowl, and about the Super Bowl, those brands got almost double the number of likes–99.7 percent more–than normal, and Super Bowl Sunday accounted for 60 percent higher engagement than the six weeks prior to the Super Bowl. Driving this is a sorting algorithm that Facebook uses, that shows posts to wider audiences if the posts in question get a lot of shares, comments or likes. And since posts about the Super Bowl were getting more users to interact with them, they got bumped up the rotation and thus got shown to wider audiences, which in turn got them more interaction…and you see where this particular Von Neumann social media interaction is going. The key take-away here, though, is that it’s been shown that there’s opportunity out there to not only engage your previous users, but also get a shot at engaging some new ones as well. Of course, you’ll need to be prepared for such an influx of potential extra buyers by being ready with the necessary infrastructure, especially cloud-based telephony features like multiple extensions, toll-free numbers, and the like.